Many owners of older homes mistakenly believe that they can be their own designer, general contractor and trade specialists. HGTV, the DIY Network, Houzz.com, and other media outlets make the renovation process look effortless. Anyone who has undertaken a significant home renovation knows it’s not, even if the project just involves adding a new coat of paint to your kitchen, bath or any other room in the house. If your home was built before 1978, there is a possibility that you have paint layers containing lead. Special care must be used to strip older paint. Simply painting over an existing surface is a relatively easy job, but other cosmetic improvements that require replacing existing finishes, expanding the footprint of the space, reconfiguring electrical, plumbing, heating and ventilation should be left to a professional. How difficult can it be to replace a faucet in an older bath or kitchen? That depends. If your faucets are older, there’s a chance that the cutouts in the surface for the faucet and knobs were sized for a different era. Today’s faucets may not accommodate those older dimensions. Our design showroom knows how to address sizing issues regardless of the age of your fixtures and home, and we’ll direct you to products that meet both the functional and aesthetic requirements of your home. Another common remodeling mistake that we see is efforts to refinish or replace decorative elements such as woodwork with reproductions. Too often, the newer versions are out of place and lack the quality, look, feel and staying power of the originals. Refinishing wood floors is a perfect example. If you have 50, 75 or 100 year or older wood floors, stripping them and bringing them to 21st century looks often results in the loss of character and the floor will appear out of place with the rest of your home. Many owners of older homes come to our design showroom wanting to renovate to create an open floor plan kitchen. When we receive an open floor plan request, we evaluate the spatial design and flow and determine whether the original house had a kitchen or if it was added at a later date. If the latter is the case, there are prime opportunities to create an open floor plan that maintains the historic character of the house but offers all of the modern looks, feel and conveniences of the 21st century. During the last decade, the shower has undergone a metamorphosis, especially when considering a master bath renovation. Showers are now a focal point that set the tone for the entire bathroom. Central to the transformation of the shower has been the introduction of functional and technologically superior showerheads, light therapy (chromatherapy), aromatherapy, steam, music systems, Bluetooth applications and other products that enable homeowners to convert what was once viewed primarily as a utilitarian area into a personal design statement and in-home refuge. Open floor plans have become increasingly popular in kitchen designs, great rooms, and combination rooms. Open floor plans foster family togetherness and makes a home appear larger and more spacious. 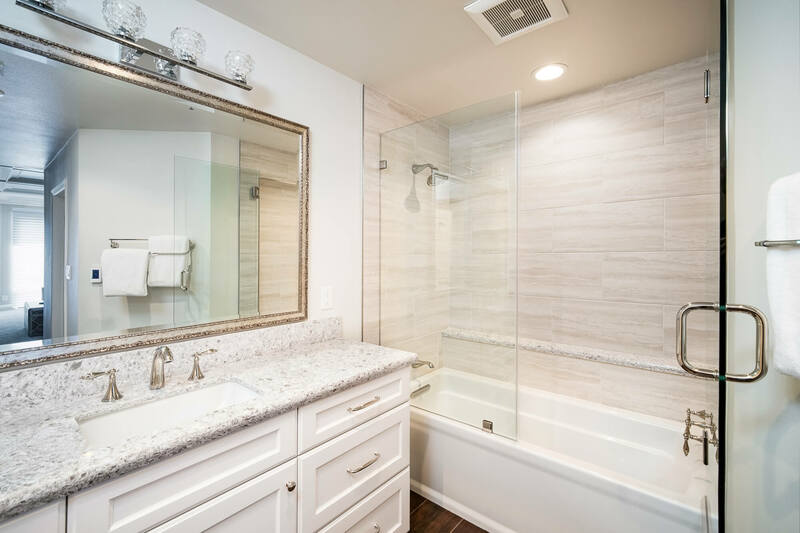 The bathroom is no exception to the popularity of open floor plans, thanks to advances in shower and drain technology and performance. Because today’s drains are capable of removing tens of gallons of water without ponding, showroom professionals, designers, and their customers now have a blank canvas to use space more creatively, efficiently and safely. Open floor plan baths can feature open showers also known as walk-in showers or curbless showers. These spaces are not restricted by the need for four walls and an opening for a separate shower stall. 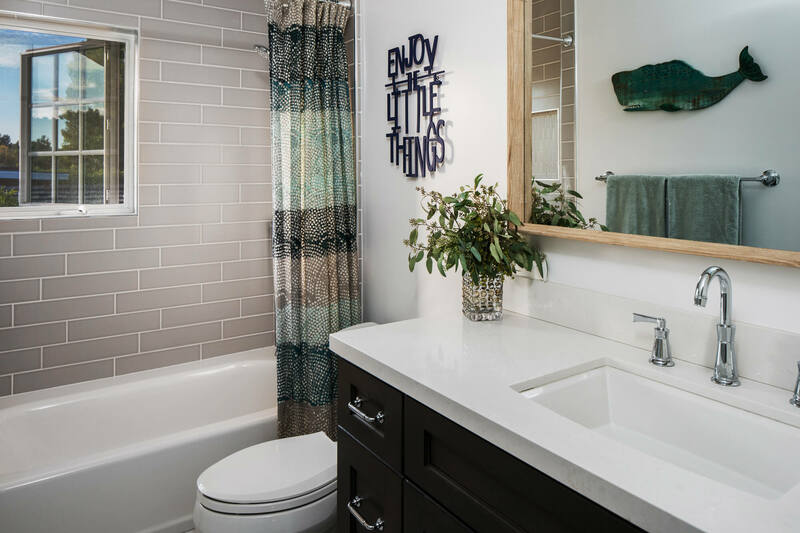 Open floor plan baths can make a smaller space more functional, appear larger and more aesthetically pleasing. 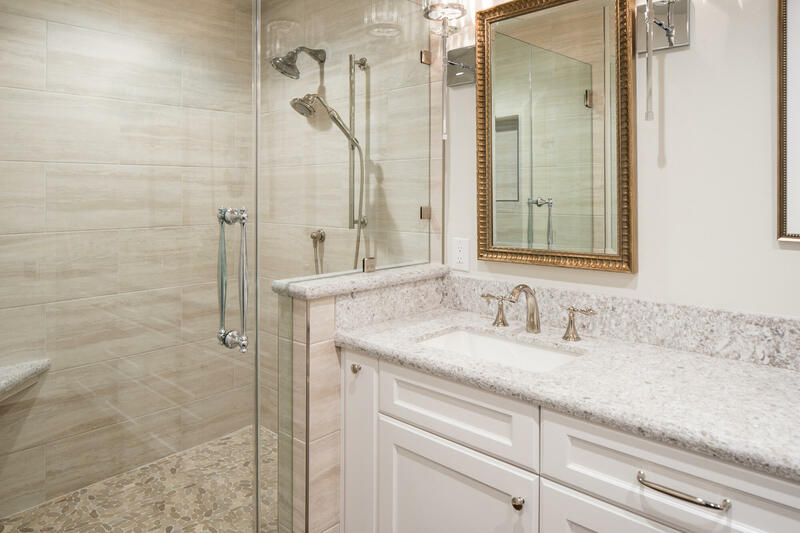 Walk-in showers also do not require a threshold, making shower access easier for those who may be aging in place or planning to do so and those who are mobility impaired. Walk-in showers also offer a cool factor that many of our customers are not familiar with. Open and more aesthetically pleasing bathrooms are not the only benefits occasioned by new drain technology. Drains are now incorporated into tiles that can be positioned anywhere in the bath. Channel drains, also referred to as linear drains, offer similar benefits. No longer are drains required to be in the center of a sloped shower basin. These drains can be positioned almost anywhere in the bathroom. Flexibility is one of the great benefits linear drains offer to customers. Because linear drains only need to be pitched in one direction, customers have a blank canvas to use when selecting the size and composition of their floorcovering. Another advantage is that linear drains do not limit customers to 4 by 4-inch tile or stone. Before the advent of linear drains, homeowners had to use 4 by 4-inch or smaller dimension material for the shower floor. 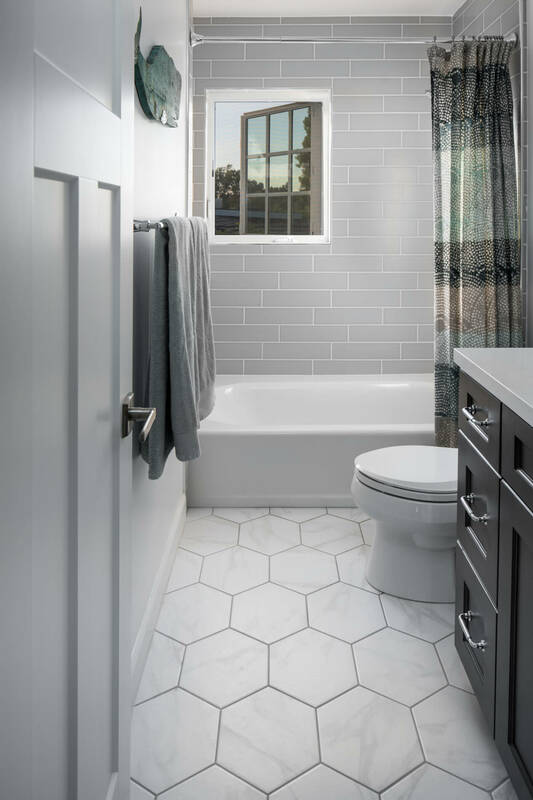 Linear drains make it possible to specify any large format floor material for the shower floor, providing more options and a cleaner and consistent image. Most of our clients spend six months or longer conducting independent research before making an appointment to come to the design showroom to discuss creating the kitchen of their dreams. We value our clients’ time. That’s why we offer the following advice to prepare for a showroom visit to not only save time, but also to ensure that our clients’ wants, needs, and dreams are realized. We know that the kitchen is the epicenter of the home, but the way that the kitchen is used varies greatly from one home to the next. Before you visit the showroom, consider who will use the space and how — will you use the space to prepare meals, entertain friends and family, etc.? 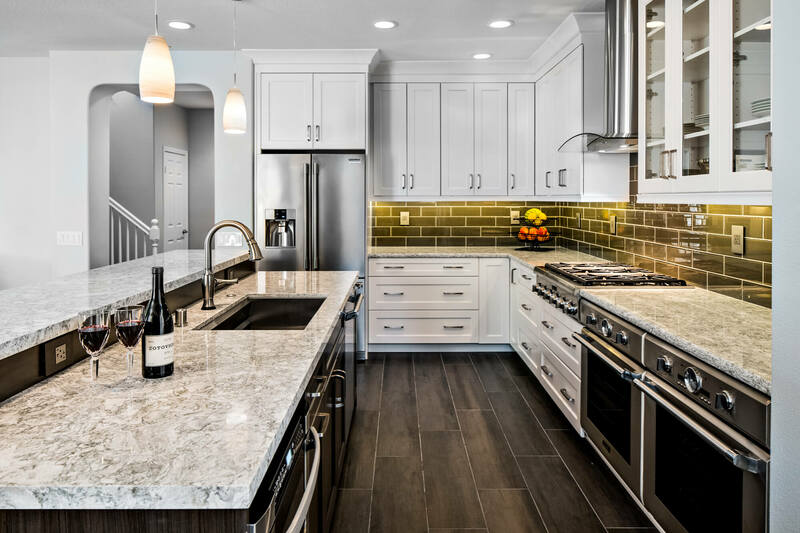 Listing all of the uses and users enables your kitchen designer to not only determine how to meet your functionality requirements, but also why you are making the investment in a home renovation. The list of uses also enables us to determine the types and amount of lighting that you will need for reading, TV watching, baking, cooking, entertaining or just hanging out. The size of the space is another critical factor when considering a kitchen remodeling project. It’s best if you measure the length and width and bring those figures with you to the showroom. It will enable us to determine if an island is possible (one of the most requested features in a kitchen). If space is at a premium, a peninsula might be a fallback. Another important consideration is traffic flow. Your new kitchen should make it easier to prepare meals, eat, clean up and navigate through your space without bumping into things or others. If you currently bump into other family members while in the kitchen, let us know because that will help us develop the best solution for your project. Think about how you want the new space to feel every time you walk into your new kitchen and use it. What are your favorite colors and styles? Do you prefer to make big bold statements or rather lean towards serene environments? We encourage our clients to create idea books on Pinterest or Houzz.com and comment on the different pictures and photographs in them. 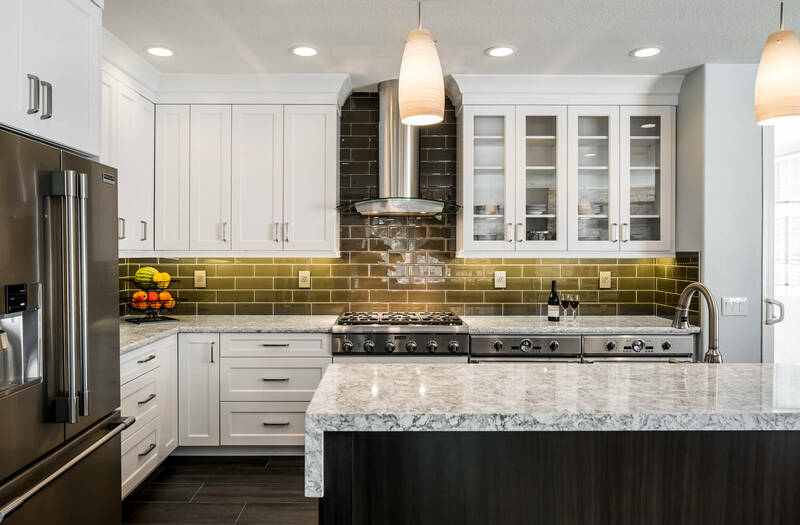 Include information and pictures of appliances, faucets, sinks, lighting fixtures, cabinets, door hardware, tile, granite, stone or other materials you would like to use in your new kitchen. Once we know your preferences, we can develop the solutions that meet your needs and budgets. Let us know what you like and would like to change about your existing space. It may be too small for your needs. If so, we can look to open up the kitchen to create more space and to make it appear more spacious. Adding windows or doors that allow natural light can change the look and feel of a room. Experienced kitchen designers know how to work with client preferences, keeping the functionality and look that you enjoy while developing solutions to eliminate your dislikes. Don’t be afraid to have a renovation budget in mind. We know that most clients are reticent to talk about budgets up front. Sometimes budgets are realistic and other times they are not. What you see on home improvement shows on television rarely compare to the real world because on TV they don’t account for labor and labor is typically 50 percent of the cost of a new kitchen or bath. Sharing your budget with our designers helps to set the tone, will save time and avoid having to change course midstream if the unexpected occurs. Also, consider how involved you want to be in your project. Do you want to be partially involved in every detail or would you prefer to rely on your designer to develop solutions for your review and approval? Either option is fine, but to help your designer save you time and energy communicate this information up front.